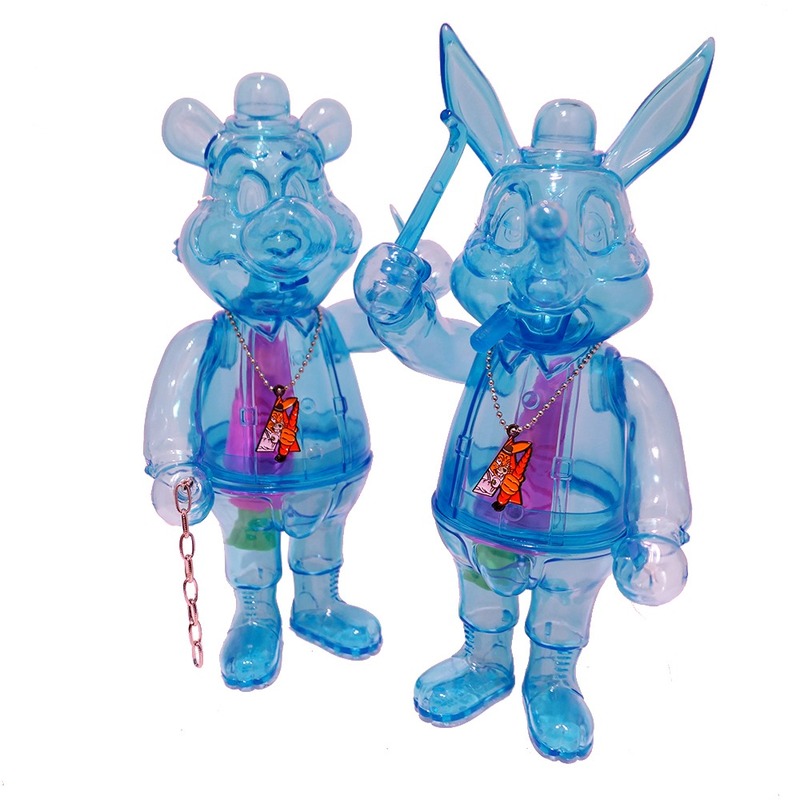 BlackBook Toy is gearing up to release the new Hologram editions of Lil Alex and Dim by Frank Kozik. Living up to the A Clockwork Carrot series label, each of the Hologram figures features a GID resin carrot, cast by Chop of Monster Farm, that fits into the body and works well with the translucent blue sofubi toys. As you can see in the glow photo, the carrot glows brightly in both green and orange. These ACC Hologram editions follow the previous released Hologramzilla Mousezilla edition. The Hologram editions of each ACC character include matching masks, GID carrot and a bonus Alex metal charm which is nicely sized to the toys. They will be available on Thursday (1.17) at 7 AM PDT for ¥10,800 each (~$100) direct from BlackBook Toy.